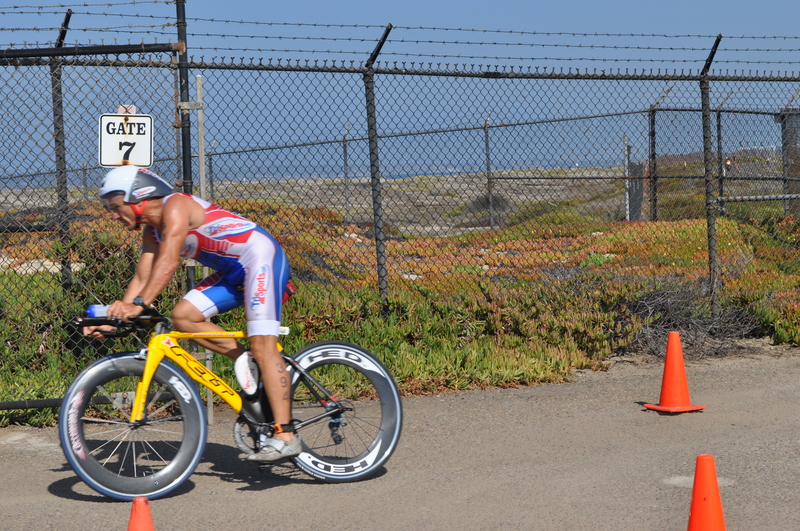 At the Best of the US triathlon, James went seeking redemption from his USAT Nationals race. Miraculously the water temp dropped about 6 degrees overnight, making the swim wet suit legal. James said f*ck it, I’m going with the swim skin. Mainly because he left his wet suit at home. Gun goes off, and one non neoprene dude along with a bunch of wet suit clad guys hop in the water. James ends up pulling the lead group around the course exiting the water in third place overall. He finishes the race in 5th overall with a solid showing all around. I’m pretty happy with his progression this year. There hasn’t been a lot of fancy workouts. Just doing the work day in and day out. His results show what happens when you step up to the plate and make that sort of commitment. Billy headed out west to sunny CA to race the SuperFrog half triathlon. He grabbed 2nd in his age group and was 27th overall. I went up to LV and hung out with Sarah, Dusty and his girlfriend Ashley. We watched the LV 70.3 WC’s. All in all watching a triathlon is 100x more boring then participating in one. We also managed to turn $1000 in $2350 in under 25 minutes at the blackjack table. That’s a better ROI then some of the triathletes made by grabbing a podium in the elite race. It’s a World Championship, these are the top triathletes in the world and they are racing for peanuts. It’s a shame that the WC race doesn’t have a WC prize purse. You have to teach me to play Blackjack better then I do. I want to retire to become a professional gambler. For a guy who struggles at math maybe Blackjack shouldn’t be your first choice. Maybe that game where they put a marble under 1 of 3 shells then mix them up, or Bingo?